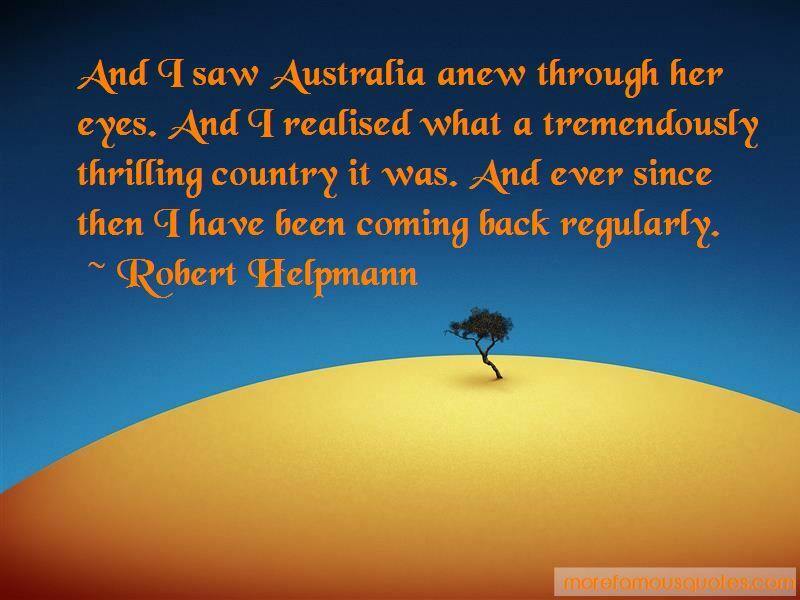 Enjoy the top 8 famous quotes, sayings and quotations by Robert Helpmann. Theatre remains the only thing I understand. It is in the community of theatre that I have my being. In spite of jealousies and fears, emotional conflicts and human tensions; in spite of the penalty of success and the dread of failure; in spite of tears and feverish gaiety this is the only life I know. It is the life I love. People often say to me - how clever you are! How brilliant to be able to go from ballet to theatre as you do. I answer that it is not clever at all. It is the gift of looking at oneself coolly, of calculating the future objectively. I could see the danger signals as far as ballet was concerned before anyone else did, that's all. And I saw Australia anew through her eyes. And I realised what a tremendously thrilling country it was. And ever since then I have been coming back regularly. 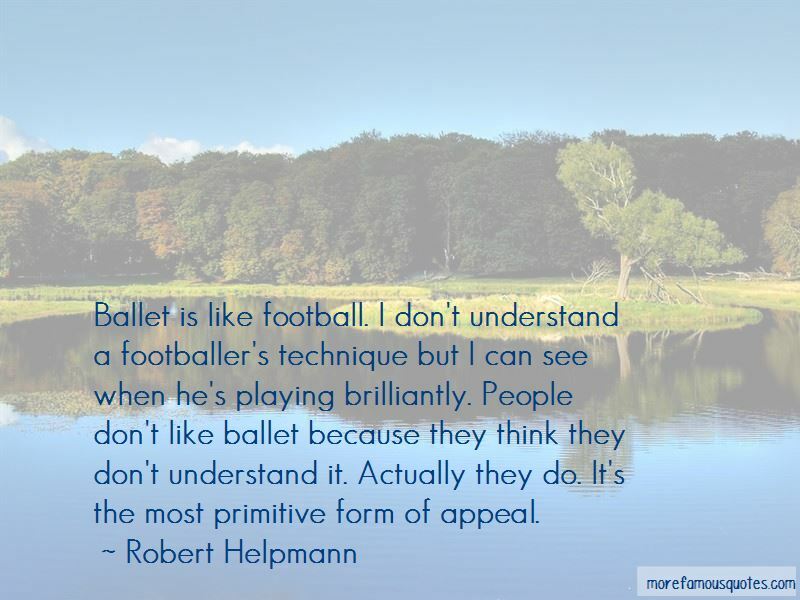 Want to see more pictures of Robert Helpmann quotes? 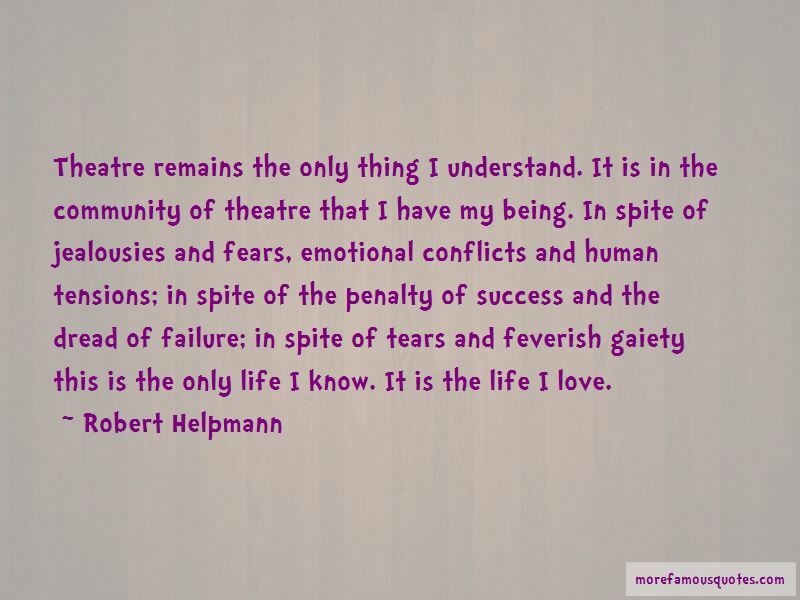 Click on image of Robert Helpmann quotes to view full size.